Nearly two months after the global design and planning company, Populous, released a report saying South by Southwest and the city of Austin could do more to improve public safety and manage growing crowds at the festival, organizers are trying to test out some of the report’s recommendations. Last Friday, on Halloween, South by Southwest organizers worked with private businesses on Sixth Street to set up three cameras on the street between Brazos and Red River streets. 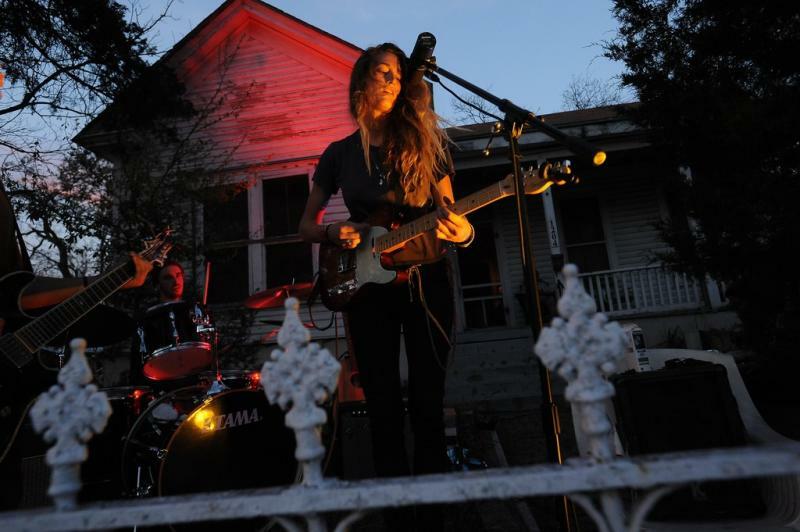 According to the festival organizers, the goal was to monitor crowd activity because Halloween and the first night of Formula 1 would attract crowds similar to those at SXSW. According to a lawyer with the festival, SXSW believes the city could do more to deal with issues of overcrowding on Sixth street. SXSW would not say where exactly the cameras were located. Update: Austinites have another chance to see "Two Step" on the big screen. After showing at SXSW and the Little Rock Film Festival, the Austin Film Society is screening Austin-based writer/director Alex R. Johnson's dark feature. KUT talked with Johnson about the film back in March. 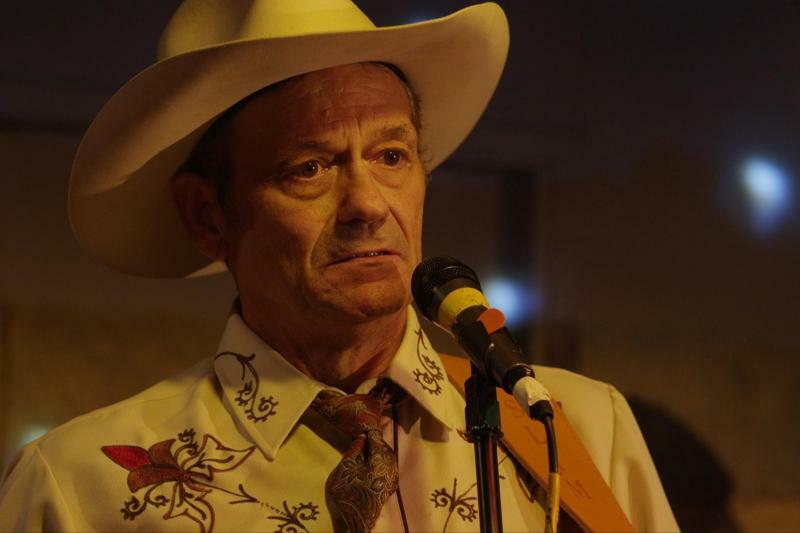 Original Story (March 10, 2014): The Texas drama "Two Step" debuts at SXSW Film. It is Austin-based writer/director Alex R. Johnson's first feature-length film. It has a "No Country for Old Men" vibe – along with a memorable villain who you're better off not running into. Johnson is pretty new to Austin. He talked with KUT about "Two Step" and how moving here inspired him to make it. Update: Austin filmmaker Richard Linklater's much-anticipated 12-year film project "Boyhood" opens in theatres across Austin today. 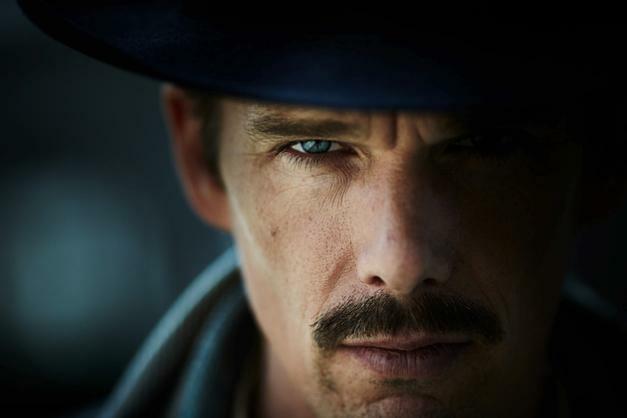 KUT talked with star Ethan Hawke when he was in town for South by Southwest. Original Story (March 11): Actor Ethan Hawke is in not one but two films that headlined SXSW Film this year. “Boyhood” is the 12-year-long film project about growing up by Austin filmmaker Richard Linklater. “Predestination” is a time-travel sci-fi thriller. KUT sat down with Hawke to talk with him about the films and about his Texas ties – Hawke was born in Austin. 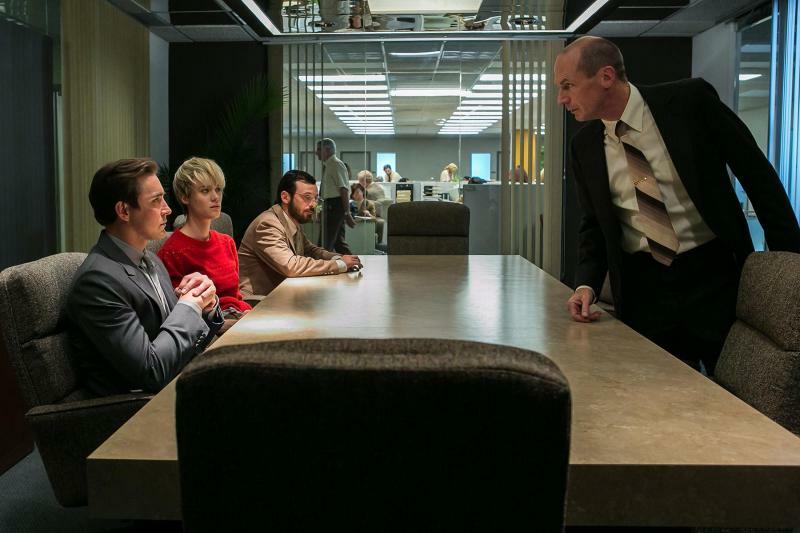 “Halt and Catch Fire” made its television debut last night. The show follows an unlikely group of computer geniuses in the early 1980's in the so-called "Silicon Prairie." KUT talked with the show’s creators – Chris Cantwell and Chris Rogers – at a busy downtown Austin restaurant when they premiered the program at South by Southwest. The City of Austin's special event office Wednesday night presented the results of a feedback survey on this year’s South by Southwest music festival. Bill Manno, Corporate Special Events Program Manger for the City of Austin, hinted at possible changes they're discussing, but some meeting attendees say they still aren't sure of the point of the survey and felt it was vague and the questions were ambiguous. When Stewart asked that question to the panel, they didn’t have a specific answer. The Austin Police Department has filed four more charges against the suspect accused of killing four people and injuring more than 20 people in downtown Austin on March 13. Roger Wade with the Travis County Sheriff's Office confirms that 21-year-old Rashad Charjuan Owens now has 25 aggravated assault with a deadly weapon charges filed against him as of April 17. He's also been charged with capital murder. 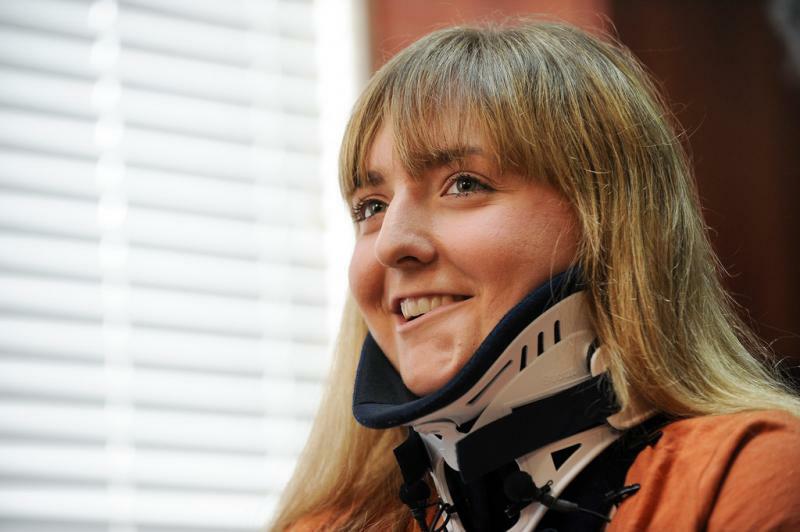 One of the victims of the car crash into South by Southwest crowds is now in the rehab stage of her recovery. Mason Endres can now hop on one leg and push herself in a wheelchair. But she’s still learning to walk again. The man charged with capital murder in the crash into a crowd at South by Southwest is now also charged with 20 counts of aggravated assault. 21-year-old Rashad Owens has been jailed since the March 13 crash. Police say Owens was speeding away from a traffic stop when he drove through a barricade onto a street crowded with pedestrians. Questions raised by this year's South by Southwest festival and conference aren't restricted to think pieces: The Austin City Council is now asking for "a full post-event evaluation" of the ever-growing event. 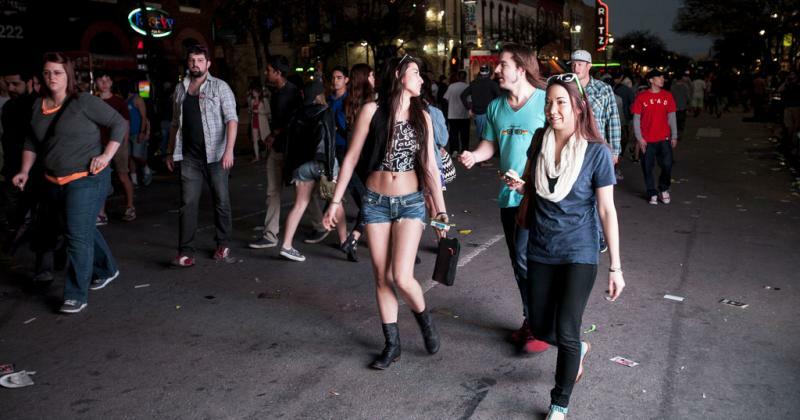 The findings could result in changes to the way Austin deals with safety, crowds, permits, and even alcohol during SXSW and other events. Coming off its 27th year, the SXSW event itself generated as many headlines as its performers and conference breakouts. Wes Anderson's "The Grand Budapest Hotel" is now in theaters across the country. A South by Southwest audience got a sneak peek last week. The highly-stylized filmmaker himself even made a trip to Austin for the screening and an extended Q&A. That's something SXSW Film Head Janet Pierson said she'd been trying to make happen for about a decade. Update: Curtisha Davis has been released from University Medical Center Brackenridge, a hospital spokesperson says. According to Fort Worth media, she has returned home. 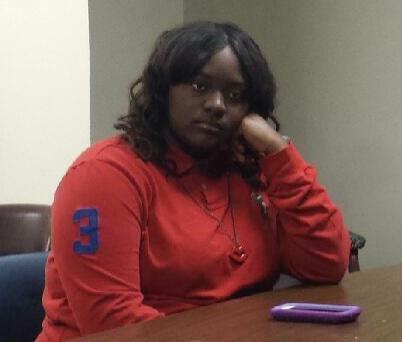 Her boyfriend, DeAndre Tatum, remains in critical condition. Two other Brackenridge patients (Gracie Nguyen, Evan West) remain in fair condition; at St. David's hospital, Mason Endres also remains in fair condition. Another Brackenridge patient (Joseph McCraney) remains in good condition. Original story (1: 56 p.m.): KERA News in Dallas has details on two of the victims in last week's fatal South by Southwest crash. Two of the victims still hospitalized – 17-year-old Curtisha Davis and 18-year-old DeAndre Tatum – are current and former students at Trimble Tech High School in Fort Worth. "Cheerleader Curtisha Davis is expected to leave the hospital in the next few days," KERA reports. "But DeAndre Tatum is still in a medically induced coma." The two are girlfriend and boyfriend. Students and teachers at Trimble Tech High School in Fort Worth are coping with a pair of tragedies. Just before spring break, junior Jocelyn Saucedo was fatally stabbed. And last week, a cheerleader and her boyfriend were among the two dozen injured in Austin when a car plowed into a crowd at the South by Southwest festival. A patient injured in last week's car collision with South by Southwest crowds has died. Sandy Thuy Le, 26, died this morning at University Medical Center Brackenridge. She was an Austin resident, according to social media. Le is the third to die from injuries incurred in the Thursday morning crash; 27 year-old Austinite Jamie Ranae West and 35 year-old Dutch visitor Steven Craenmehr were pronounced dead at the crash scene. Summary: 21 year-old Rashad Owens has been formally charged in this week’s crash that killed two people and injured 23 on Red River Street during South by Southwest. As of Saturday, he remains in custody. Court documents show Owens had a blood alcohol content of 0.114, above the legal limit of .08. Read the entire charging affidavit here. Owens was charged with one count of capital murder. His bail was set at $3 million. More charges could follow. 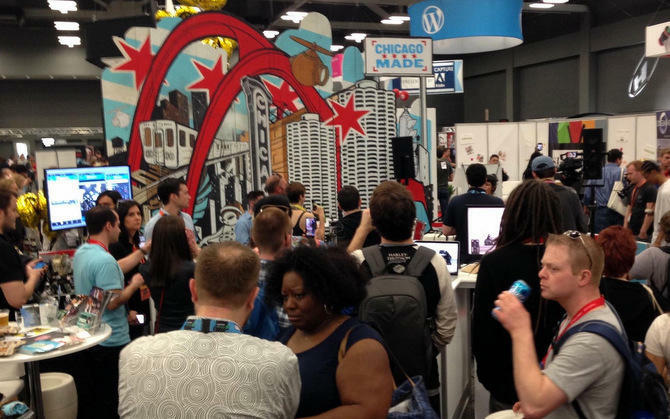 South by Southwest concluded Sunday with a handful of events. A charity fund created for the crash victims and their families, SXSW Cares, has already netted tens of thousands of dollars. As of Sunday morning, seven people remain hospitalized from Thursday's fatal crash outside of the Mohawk on Red River Drive. Six are at Seton, with two in critical condition. St. David’s HealthCare discharged one patient Saturday and now has just one patient left, 18-year-old Mason Endres. 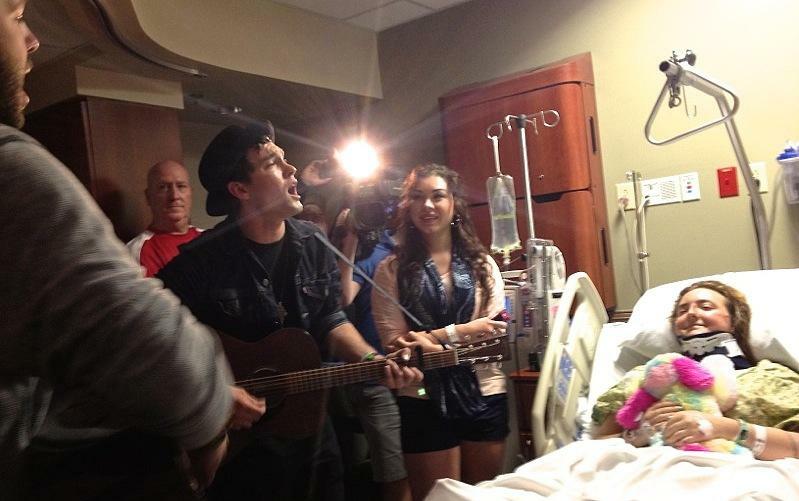 Mason has been surrounded by friends and family during her hospitalization, but on Saturday she got a surprise visit. 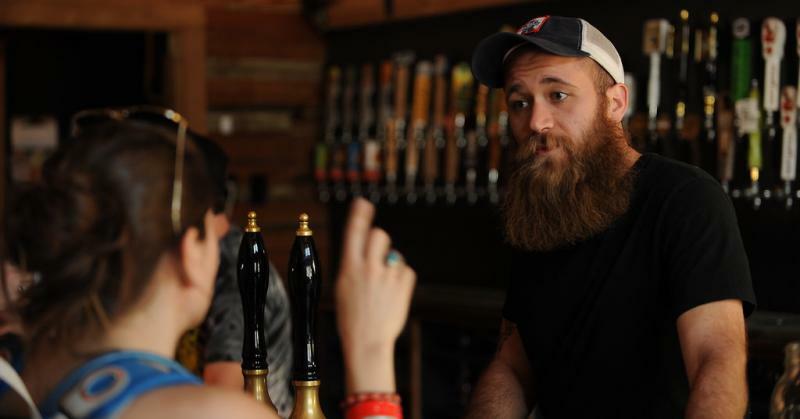 If there’s one thing Austinites love – it’s hearing people talk about how great Austin is. The film “The Road to Austin” features a lot of that. It premiered at South by Southwest Film. 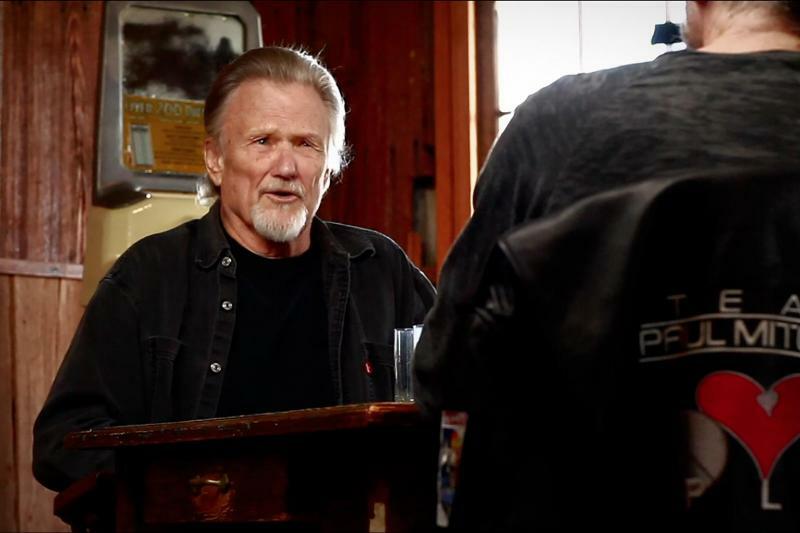 "The Road to Austin" is part documentary, part concert and features a lot of well-known voices – from Kris Kristofferson and Joe Ely to a couple of KUTX DJs – all talking about what makes the Austin music scene so special and how it became the live music capital of the world. Police have arrested a rapper who performed at South by Southwest after officials say he encouraged a crowd to push through doors keeping them out of an already overcrowded venue. 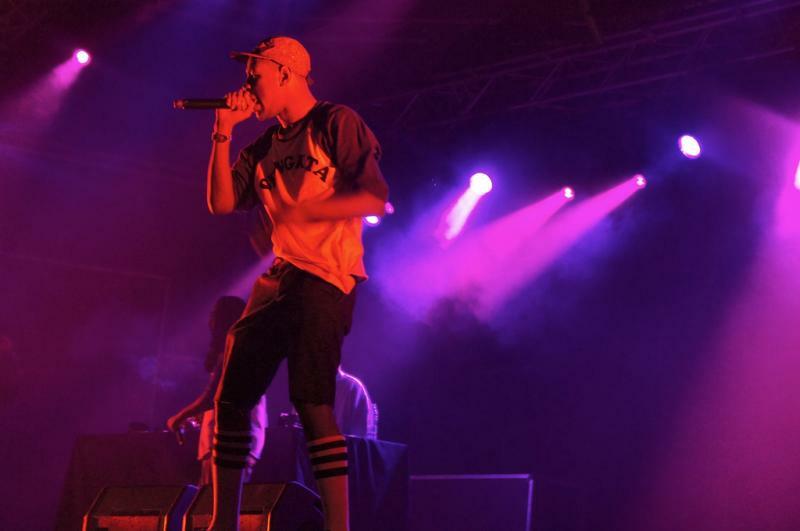 Tyler Okonma, who performs as Tyler, the Creator, was arrested and charged with “Riot - Class A misdemeanor." Police released a video of Okonma telling fans outside of his show Thursday at the Scoot Inn to push past security personnel that were keeping them out of the venue. Writer/Director Riley Stearns grew up in Pflugerville – but has been making his living in L.A. 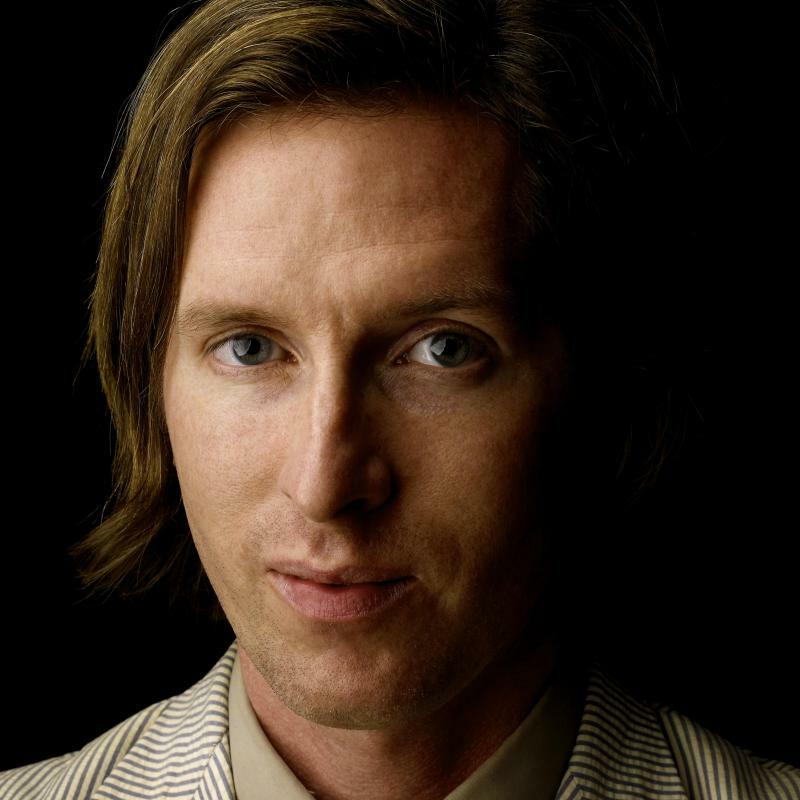 He says bringing the movie to SXSW Film for its World Premiere is like a homecoming. “Faults" follows a cult deprogrammer who is hired by some parents to kidnap and de-program their brainwashed daughter. But as the film progresses, the cult deprogrammer – and the audience – start to question who is really the most negative influence. Update: KUT's Kate McGee appeared on WBUR's Here and Now to discuss governments pitching themselves at SXSW. Original story (March 12): At South by Southwest, tech companies may come to pitch the next big mobile app or hardware, but city governments are also here to pitch themselves as the best place to create that next big app. “There’s a collision of all the kinds of people were trying to attract, talented engineers looking for their next great opportunity, companies looking for a place to grow, or investors seeking deal flow," says Jenifer Boss, the director of business development with the deputy mayor’s office in Washington D.C.. "And we want to take advantage of having all those people in one place." South by Southwest continues today in Austin, Tex., following yesterday’s tragic hit and run that left two people dead and 23 injured — and left many wondering if the festival that draws tens of thousands of visitors from around the world has become too big and unruly. As the festival continues to expand, cities and countries have been sending representatives to tout their homegrown musical artists — and do a little self-promotion — with the goal of attracting new business. 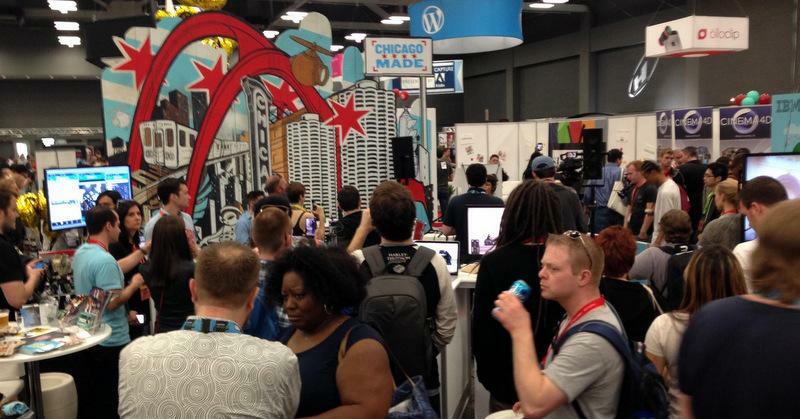 KUT's multimedia team has been documenting South by Southwest 2014 since its kickoff last week. Take a look at their street scenes below. And check out more pics on our sister station KUTX's Flickr page. Courtesy "Thank You A Lot"
In Austin, it seems like everyone's a musician and there’s live music every night. But between that dynamic of stage and crowd, there’s a cast of characters: including band managers, doormen and promoters. The film “Thank You A Lot” premiered at SXSW Film. It explores some of these characters – particularly a father-son pair caught in the middle of all the bustle. Thousands of bands have come to town for SXSW, and many of them are here thanks to one thing: brands. Doritos is reportedly paying Lady Gaga millions to do a show. Chevy is giving people free rides around town. Toilet paper brand Cottonelle even has a "refresh lounge" at the festival this year. But what happens to local businesses that opt out of corporate freebies and VIP-only parties? To find out, just head to Rainey Street, aka Corporate Party Central. But at the southern end of the street sits a bar that's proudly banner-free, with no velvet rope and no VIP guestlists: Craft Pride. 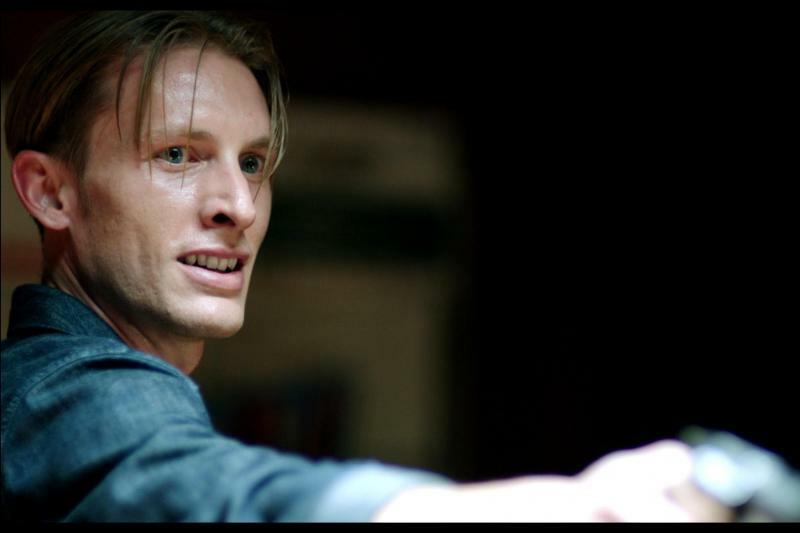 Austin-based writer/director Rob Thomas’s film “Veronica Mars” hits theatres this week. But South by Southwest audiences got to see it first. The film revisits the characters Thomas created for the “Veronica Mars” TV show – which was canceled back in 2007 after three seasons. But fans demanded more. And an enormously successful Kickstarter campaign provided the budget for the much-anticipated follow up. 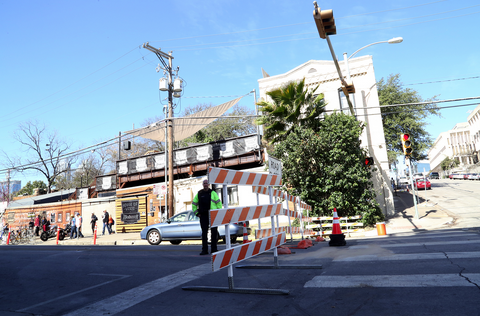 Every year during South by Southwest, police use barricades to create pedestrian-only streets. They’re meant to protect the large crowds that descend on the city. But early Thursday morning, a driver plowed through one of those barricades, killing two people and injuring 23 others. Now, some people, like pedestrian safety expert Rob Reiter, are questioning if the city should put more protective barriers in place. He says crashes like the one last night are preventable if the right types of barricades are used. After an early morning crash on Red River Street claimed two lives and hospitalized almost two dozen people, some are understandably asking, "What can I do to help?" Here are some ideas. 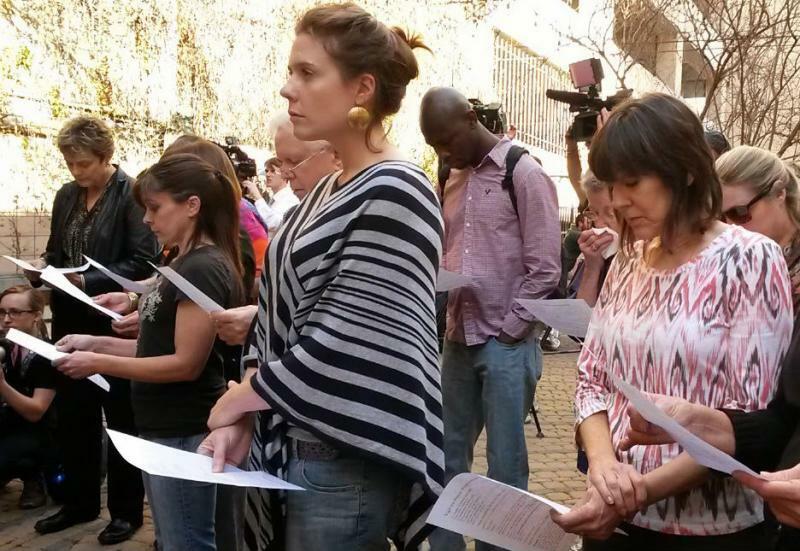 Give Money: SXSW, the City of Austin and Transmission Events set up a relief fund for the victims and their families. You can make a donation at SXSWCares.com. Other ways to contribute are at sxswrelief.org. Albert Smith, who operates the Unofficial SXSW Guide, is also raising money at this GoFundMe page. 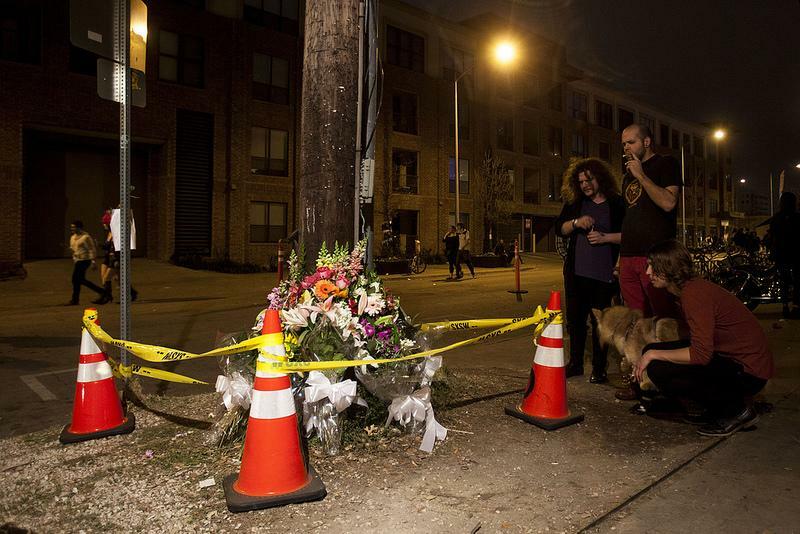 Summary: An Austin woman and a male visitor from the Netherlands are dead after a car plowed through South by Southwest crowds in Downtown Austin early this morning. 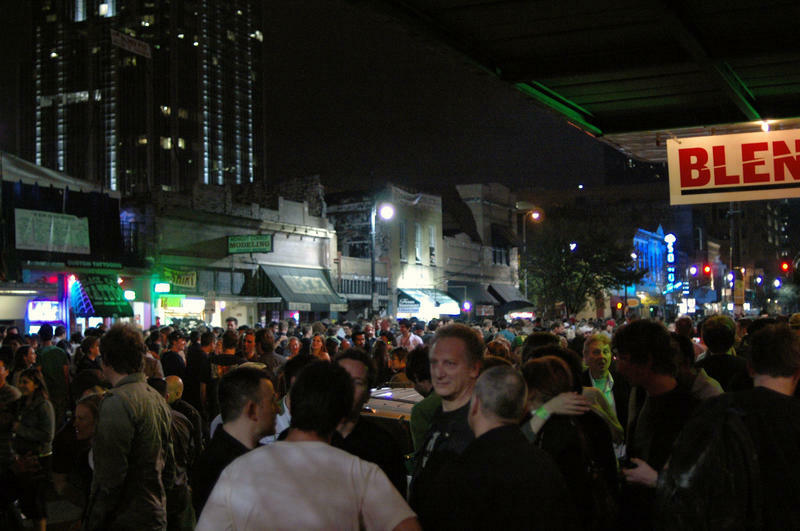 The collisions took place along Red River Street near The Mohawk, a popular SXSW venue. Nearly two dozen were injured. 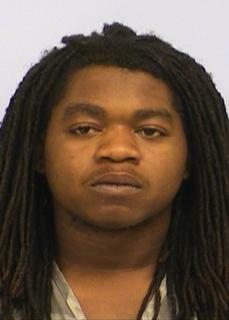 Austin Police have a suspect in custody, 21 year-old Rashad Charjuan Owens. He's been charged with two counts of capital murder. The Austin victim is 27-year-old Jamie Ranae West, according to several news reports, including one from the Austin American-Statesman. Austin Police Chief Art Acevedo told reporters Thursday morning that the incident started as a traffic stop (part of police efforts to crack down on drunk drivers) at the Shell Gas station at Ninth Street and the Interstate 35 frontage road. Chief Acevedo says the driver drove into the gas station parking lot, but then sped off and started driving the wrong way down Ninth Street. 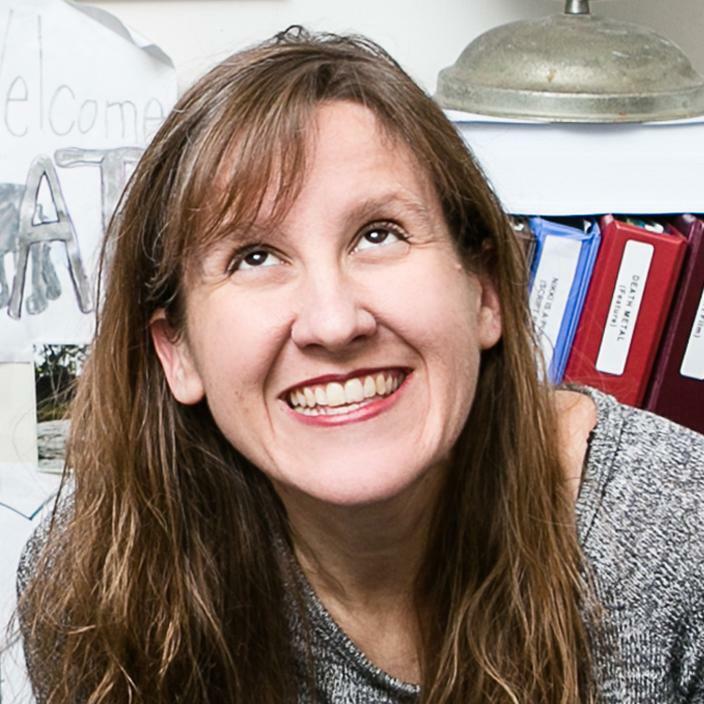 Austin-based writer/director Kat Candler’s star continues to rise. Her short film “Black Metal” attracted the attention of critics and her feature film “Hellion” premiered at Sundance. “Hellion” is also screening at South by Southwest Film. It's about a father and two sons struggling to deal with a recent death and the consequences of their poor choices in reaction to it. 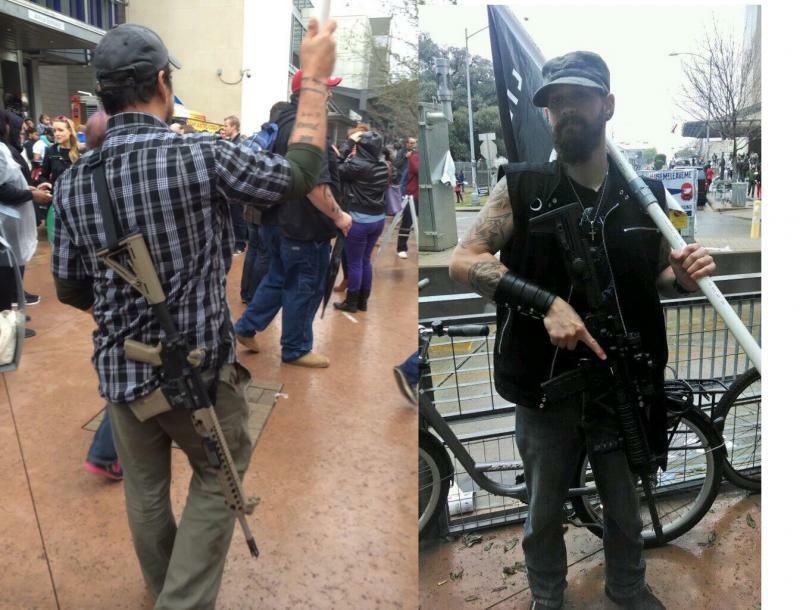 Update: About forty gun activists marched from the Capital and down Sixth Street today, many openly carrying black powder revolvers and rifles strapped across their backs. 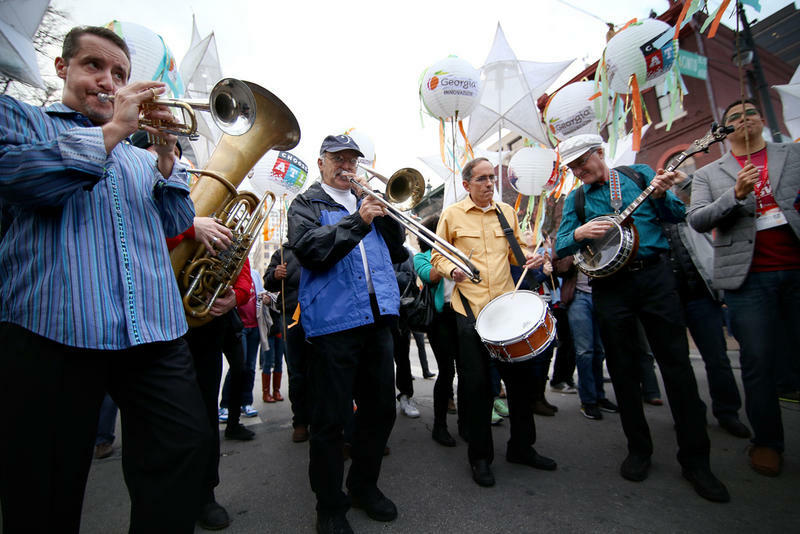 The rally occurred right in the middle of the South by Southwest festival. South By Southwest brings a lot of things to Austin: film premieres, start-ups, newsmakers, bands, traffic and tech savvy out-of-towners. It's that last group that might take umbrage with the city's ride-sharing policy, which outlaws apps like Uber, Lyft, SideCar and since-shuttered Austin-based Hey Ride. The city contends these services have unregulated – and potentially unsafe – drivers.